Many things on your computer can be performed much quicker using keyboard shortcuts. From simple stuff like pressing the Windows key to open the Start menu, to more complicated things like the well-known emergency shortcut Ctrl+Alt+Delete—shortcuts are fast and easy. 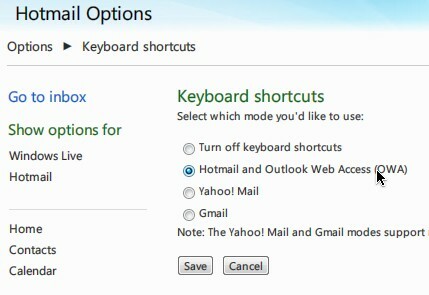 Make use of keyboard shortcuts in Windows Live Hotmail, too!